kaDON TaikoPay makes premium quality taiko accessible to everyone. Zero interest plans with flexible 6, 12, 18 or 24-month payment options. Miyamoto’s taiko feature solid keyaki bodies and natural skins that use a minimal amount of chemical processing. kaDON is dedicated to empowering taiko players around the world. Let us unlock your potential! 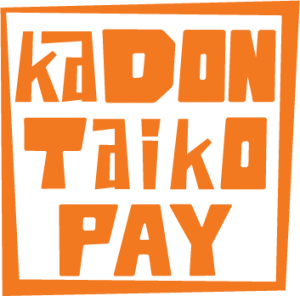 kaDON TaikoPay is a recurring monthly payment plan for those who wish to purchase item(s) valued at over $500 in installments. Depending on the amount, we offer a 6-month, 12-month, 18-month, or a 24-month payment plan. You will only need to put a 20% down payment (or shipping cost, whichever is larger) of the total invoice and sign an agreement to get started! How does kaDON TaikoPay Work? Contact us at info@kadon.com with the item(s) of your interest. Remember, the item does not necessarily have to be listed on our online store – we have access to the entire Miyamoto Unosuke Shoten catalog! We will discuss a payment schedule and send you an agreement for your review and signature, setup the recurring payment online, and process the order once down payment is received. It’s that easy! Is there any interest charges added? There is no interest charge! All we add is a 3.5% fee to cover our credit card processing charges to your invoice total. Invoice total includes the value of the merchandise as well as any shipping charges, and sales tax if you reside in California. The 3.5% processing fee is waived if you opt for recurring ACH payment (available to US residents). E-mail us at info@kaDON.com today to get started!